Oil on canvas, 85 cm x 52 cm. The Cafe at The Booksmith, next door to Storehouse Gallery. Acrylic on paper, 28 cm x 39 cm. The North Bridge, looking north. Oil on canvas, 40 cm x 75 cm. Derelict Courtyard (former college buildings, Doncaster). Acrylic on canvas, 75cm x 55cm. Sandall Beat wood, Doncaster; afternoon. Acrylic on board (framed), 43 cm x 47 cm. 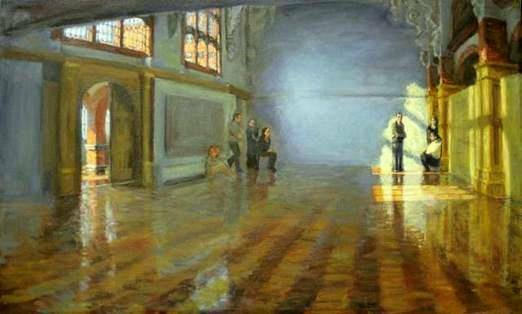 ​Oil on canvas, 30 cm x 70 cm. ​Acrylic on canvas, 50 cm x 50 cm. Interior with cafetiere. Oil on canvas, 60 cm x 45 cm. Acrylic on canvas, 36 cm x 46 cm. Available at Storehouse Gallery, Weedon Bec, Northamptonshire, £600. Fiori Musicali at the Brixworth Festival. 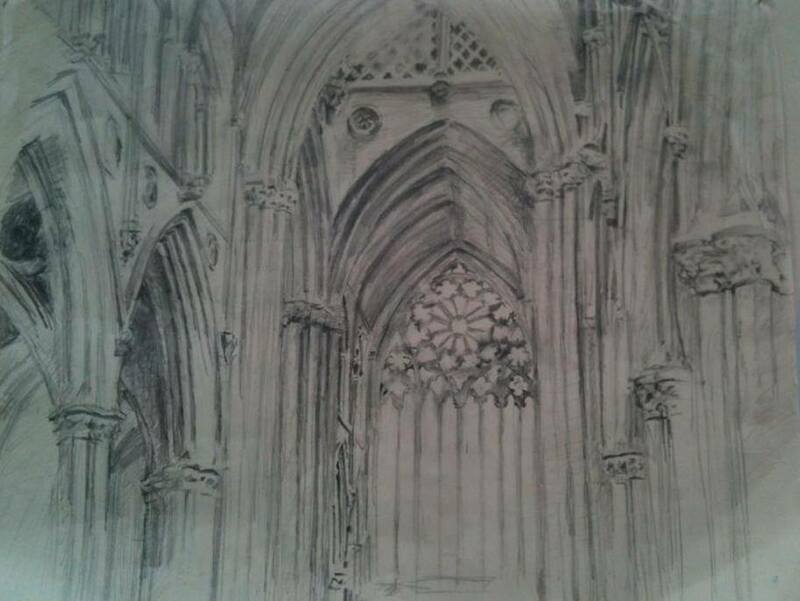 Pencil on paper, 21 cm x 30 cm. Windchimes. Acrylic on canvas, 40 cm x 35 cm. 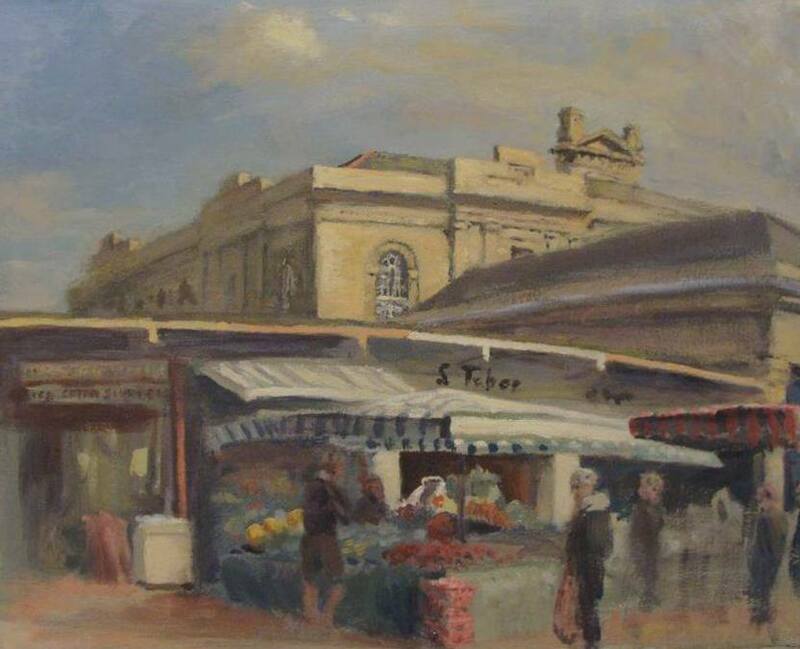 Doncaster Market, fruit and vegetable stalls. Acrylic on canvas, 40cm x 50cm. Oil on canvas, 45 cm x 61 cm. 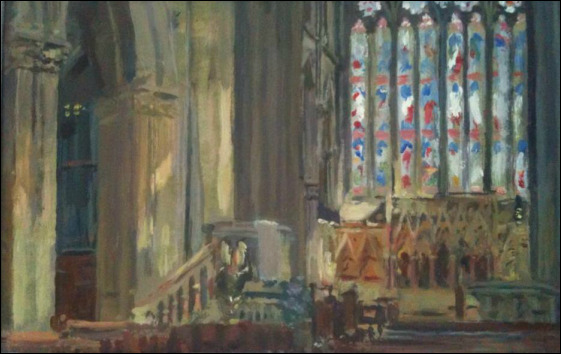 Available at Storehouse Gallery - Weedon Bec, Northamptonshire - £800. Acrylic on board, 18cm x 24cm. 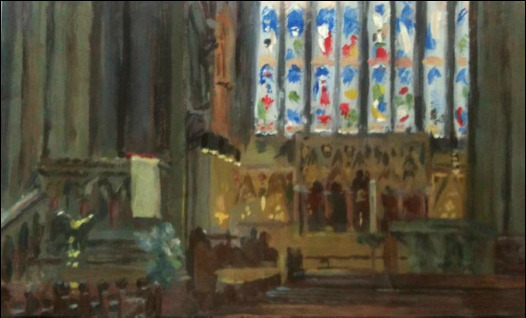 ​£280 at Chippko Gallery, 2nd floor, Church View Centre, Doncaster, DN1 1AF. 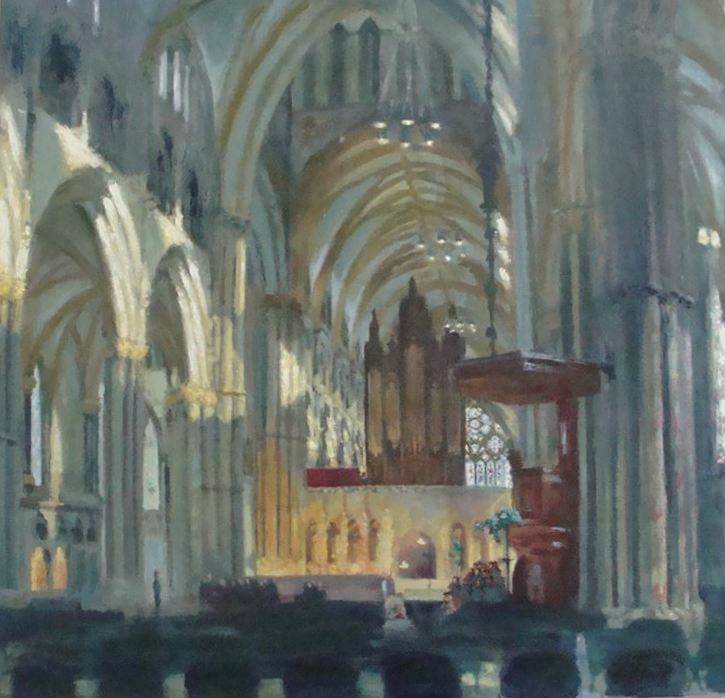 Study from Organ Recital, Doncaster Minster. Acrylic on paper, 29cm x 41 cm. Doncaster Minster with the Reverend David Stevens. Acrylic on canvas, 26cm x 31cm. Gloomy outside, lamps shining brightly. ​Acrylic on paper, 28 cm x 40 cm. 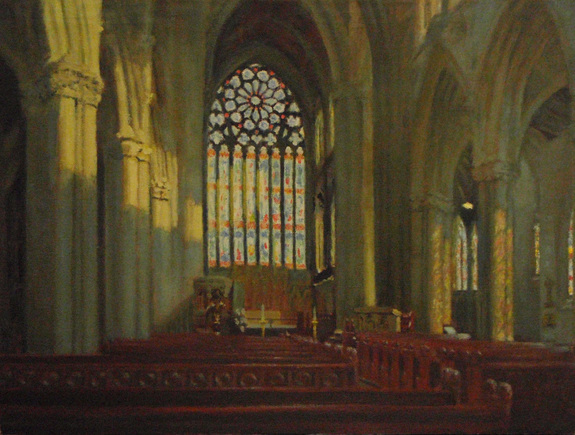 Doncaster Minster, southside. Oil on canvas. 80 cm x 100 cm. Lincoln Cathedral. Oil on canvas. About 70cm x 60cm. Acrylic on canvas, 40 cm x 30 cm. ​ £450, Storehouse Gallery, Weedon Bec, Northamptonshire. Derelict College Buildings, Doncaster. Oil on canvas, 45 cm x 61 cm. 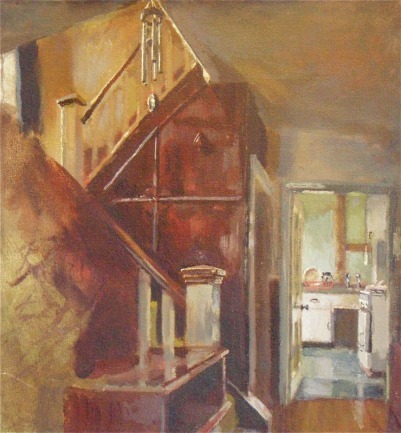 March morning interior, oil on canvas, 60 cm x 45 cm. Sold. Fragments from sketches; business event. Oil on canvas, 50 cm x 75 cm. Cello section (framed). Acrylic on paper, 17 cm x 19 cm. Jazz Trio. Oil on canvas, 33 cm x 14 cm. Available at Storehouse Gallery, £500. Doncaster High Street from Regent Square. Acrylic on paper. Acrylic on paper, 20 cm x 18 cm. 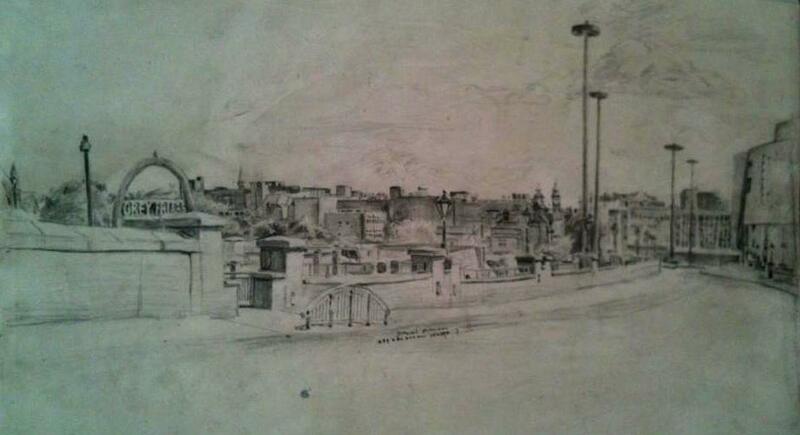 Preparatory drawing for painting from the north bridge. Reed in partnership office; single father or grandfather explains his financial situation. Oil on canvas, 58 cm x 92 cm. Doncaster Minster, afternoon. Acrylic on paper. 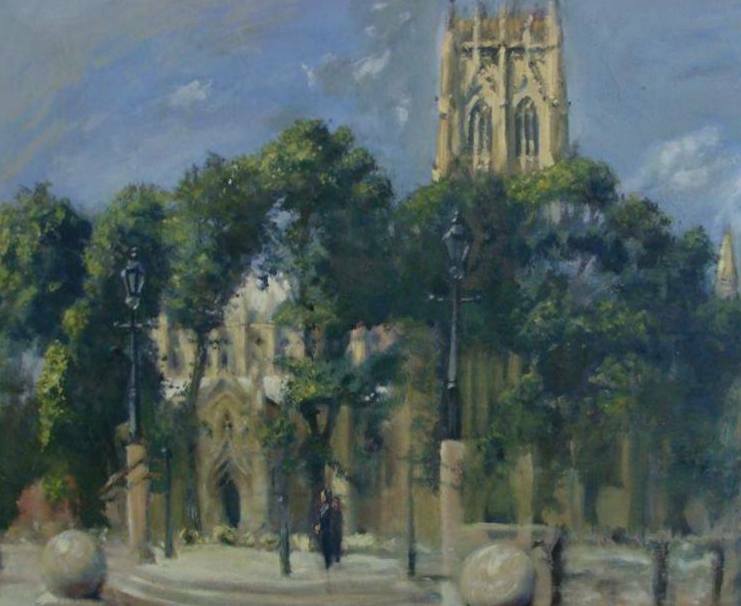 Doncaster Minster, early summer afternoon. Acrylic on paper. 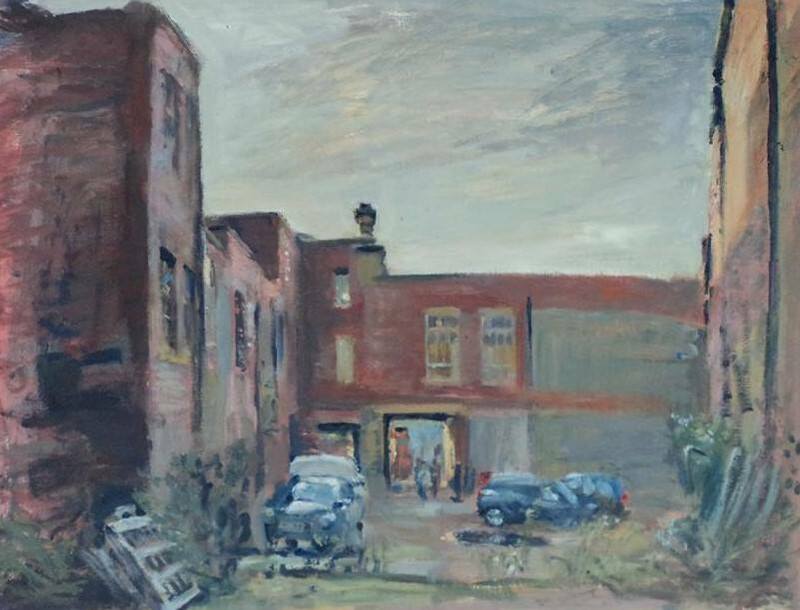 The Royal Ordnance Depot, Weedon Bec, from outside Storehouse Gallery. Oil on canvas, 40 cm x 75 cm. 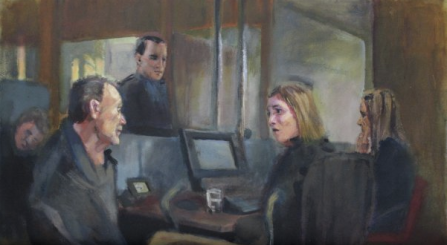 ​ £1200 at Storehouse Gallery.